The bike has Shimano Ultegra Di2 but the Giant website doesn't say which model. 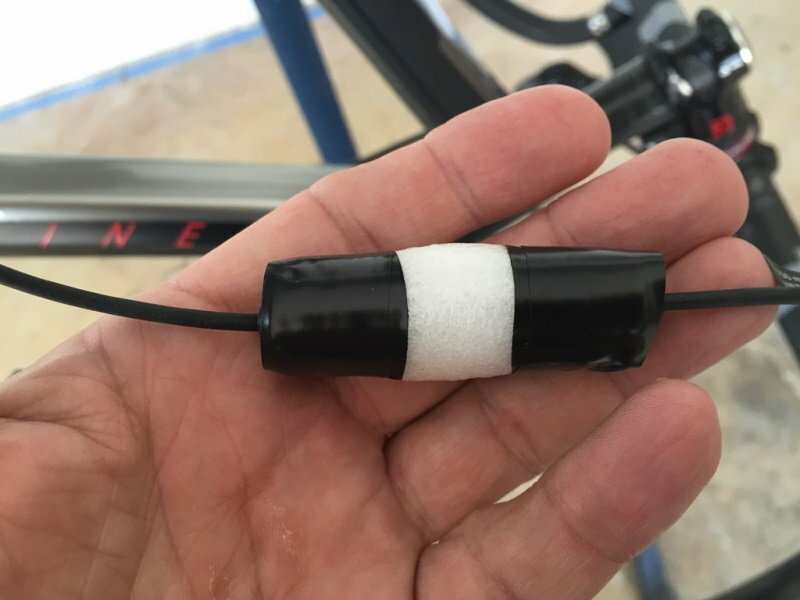 I am wondering if I need to buy the wireless unit D-fly in order to connect my garmin to the Di2. I tried a few times to connect but was unable to. 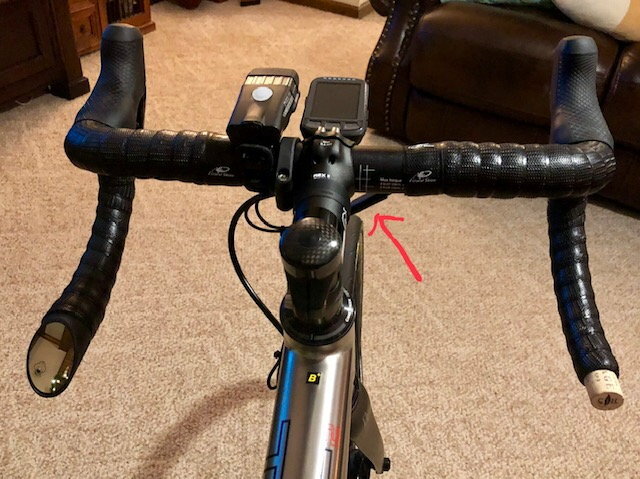 I am wondering if the bar end junction has built in wireless connectivity or do I still have to buy the wireless unit. Finally, is the wireless unit a good investment if I have to buy? Generally..unless specifically noted--Di2 bikes do not ship with a D-Fly. I find it a nice accessory. Some don't. YMMV. Hey rower.... I was in your shoes several weeks ago. Yes you will need to buy the D-Fly unit AND an extra E-Tube wire (The D-Fly does not come with one). The unit can be installed in-line anywhere you want it. The E-tube wire comes in different lengths, so make sure you order an appropriate size based on where you plan to mount the unit. I have mine mounted up front under my bars. From this story, the new DuraAce Di2 shifters have a 3rd button on the hood, which can be set up to control the Garmin display. That could be useful. 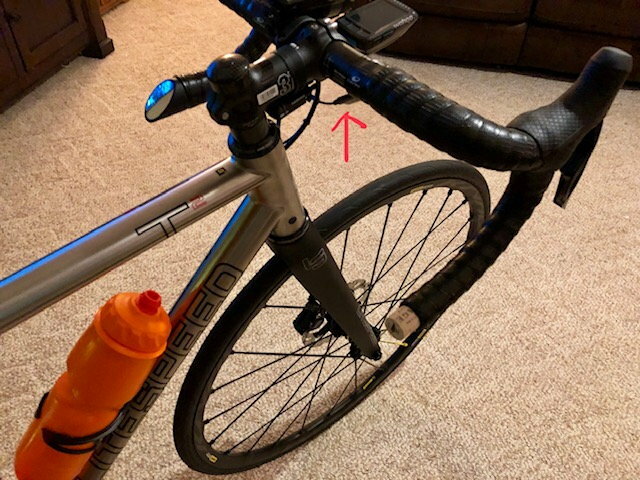 Programing the buttons under your shifter hoods to switch pages on your cycling computer is a nice feature (not just Garmin, I have a Wahoo Element Bolt). I have a main page that displays the data I want when I ride, but pressing a button on the hoods without taking my hand off the shifters to switch to the map screen, or maybe a more comprehensive Power (power meter) screen is very convenient I find. I did not know it was possible to switch GPS screens from the hoods. I like having it, but it doesn't do much for me. It allows my Garmin to count how many times I shift, and to tell me the battery level. The battery thing is nice. Oh yeah I forgot about that. I don’t use a Garmin, but the Wahoo Elemnt Bolt does an analysis of your shifting over the course of a ride when connected via D-Fly. I think mine has the buttons too but will double check that, thanks! This was added to the 8050/8070 group. I waited for that group to be available last January, but and in practice find the buttons hard to push with my weak thumbs, thus as often as not just swipe the Garmin 1000 touch screen. I don't have the functionality enabled on my system. BUT I do remember reading somewhere on the interwebs that you could download an open source program which would tell you the percentage of time you spend in a particular gear combination. As someone who is kind of nerdy and like jazz like that, I would find that ability interesting. The new Ultegra has the third button also. I got DA for myself and Ultegra for the old woman and I thought I was going to have to return it and get her DA when she noticed the paging. Feel for the button on top of the hoods. You need the wireless for cellphone programing as well or you don't. The Garmin 820 is a great match for DI2. Another reason for me to buy the wireless unit is that we only have an apple computer and shimano software, apparently, only runs on windows. Pretty ridiculous company like shimano doesn't make software that runs on both operating systems. Android is the other OS. Just bumping this since I pulled the trigger and purchased the wireless unit (EW-WU111). video Shane Miller puts it inside the seat tube. Is it the only (or the best) place to install? Thanks! Yeah I like the WU111 better than the WU101 you linked. They both do the same thing. The only difference is the WU111 is designed to be placed in line (connections on opposite sides vs. all on one side) and is much more compact. I put mine inline by my stem under my bars. Let me check to see if I have a pic (I'm at work right now). No need to hide it in your seat tube unless you want to. The D Fly unit lets you connect wirelessly to the Di2 system by using Shimano's E-Tube app on your phone. That lets you do things like change what each button does, how fast the shifts happen, change the shifting behavior, perform firmware updates etc. Before you had to connect to the Di2 system with a box using a PC. Now just whip out your phone. Mine is wrapped in foam and inside the seat tube, right under the battery. Just pick a side on your bars and disconnect the existing wire from the junction box and mount your Wu111 inline. You will need to unwrap your bar a little (on the side you choose) to get everything routed cleanly, and excess wire tucked under the wrap (you will have excess wire if you don’t - remember the extra wire you purchased, I’m not sure how long it is). I have the 9000 and I am able to switch pages from the buttons on the hoods. I changed to the newer battery so my 9,000 will also synchro shift. Another cool feature that some may not realize...if your hood buttons are set to change the page on your computer...the left button will start and stop Laps when the bike is in motion. At least that’s how it is on my Elemnt Bolt. When the bike is stationary it will just advance the screens, but in motion recording a ride, left button starts and stops laps, right button still cycles through the screens. Thank you so much. That's probably what I will do as I also replace the stock bar tape (which is a pos) with a new one. I have the 150mm extra wire. Also thanx for this. I have Garmin 810. Will explore what I can do once I install the wireless unit. Pretty cool features!